Offensive basketball is primarily played with the ball in a teammates’ hands. Four-Fifths of the time, you don’t have the ball. What you do with this time has a direct relationship to your and the team’s success. It all starts with your fundamental position. 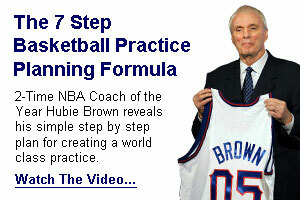 Coach Bob Hurley gives a great lesson in the video above. Have a watch. Coach Ken breaks the Motion Offense down further for us on the following page: How to teach and coach the Motion Offense This page will literally walk you through where you need to be, where you need to go, and how the motion offense fundamentally works. Get it in motion!